The Summer waves, salty air, and thunderstorms are starting to roll in my lovelies! The Wheel of the Year spins again as the Sun fully embraces us. It is a time that is ripe with opportunity, potential, adventure, relaxation, fun, and some hard work too! I'm also pretty sure that there are some lessons out there for us to learn this season as well. 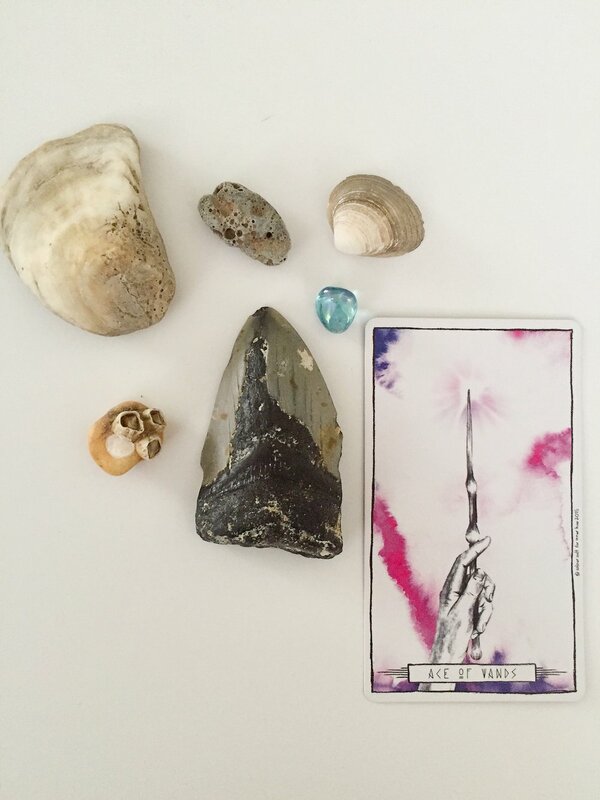 What is a Tarotscope? 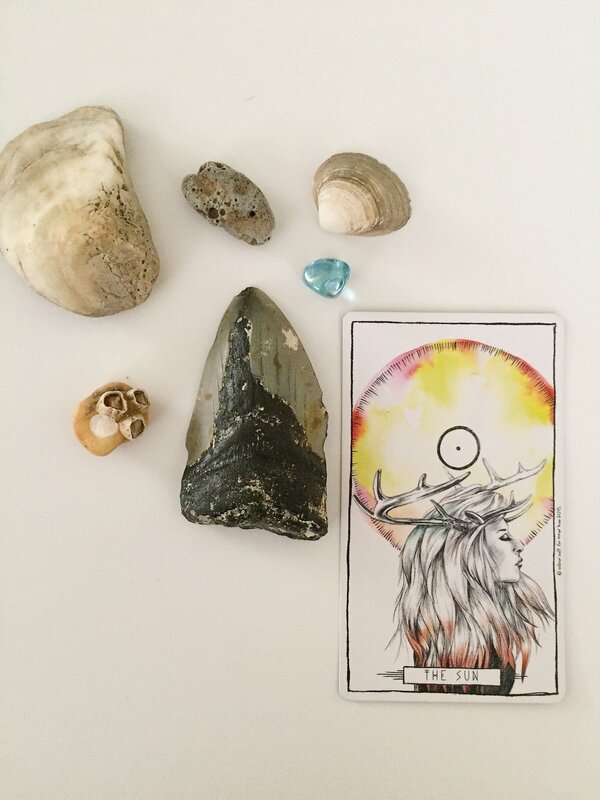 A Tarotscope is like a Horoscope for your zodiac sign, only it uses tarot cards. I decided to pull some cards for each sign to see what we need to look out for and what energy will be surrounding us all Summer '16. 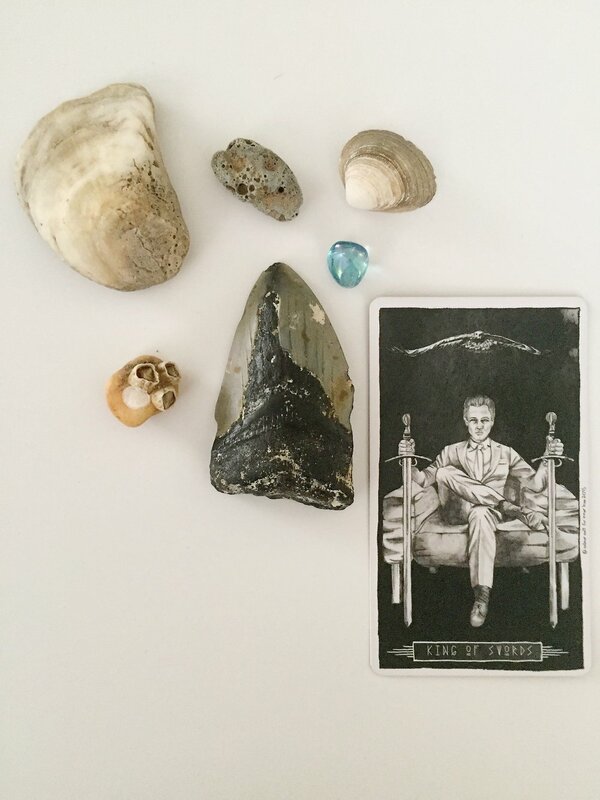 Be sure to also read the Tarotscope for your Moon and Rising signs for deeper insight into what may come up for you from June through September of this year, if you're in the Northern Hemisphere. If you're in the Southern Hemisphere check back and read this when it's Summertime in your part of the world! Are you seeing the whole picture Aries or just a sliver of it? This Summer may hold the beginnings of a new emotional and spiritual journey for you - especially in how you deal with tough situations. The Maiden of Cups is inviting you to get in tune with your heart and sense of emotional expression and connection to others. Also, pay attention to your intuition at this time as it may give you some new insights. This Summer, focus on deepening your friendships and sense of trust Taurus. Make new friends and strengthen current bonds. Find something in common with those who you assume you have no common ground with. Realize that we are all a reflections of each other. Commune with Spirit, your soul, and others this Summer. The magick is happening Gemini! You will finally get out of that foggy funk you may have been in. You've gotten some great ideas after emerging from this state and now it's time to put them into action - with a little help from the Universe! This is the spark, this is the start. Get busy this Summer! Action, no matter how small, is necessary to achieve your dreams. This is a magickal time for you and any creative ventures you partake in. Feel it, trust in it, and learn the power in your own sense of creativity. This Summer may require for you to reach deep within your gentle spirit Cancer and pull out your inner warrior! Allow your inner strength to help you continue to move forward and to make positive changes in your life. Never give up and don't look back. Have the heart of a lion even though your voice may quiver and whisper like a lamb. If you're having trouble with this or feel lost, ask your guides, angels, or deity to help you connect deeper to your inner strength. You may be on the defensive side this Summer, Leo. It's good to protect what you've built but not to the extent that it is alienating to others. Let them share in the joy of your creations and actions too. Work on strengthening your sense of safety and security this Summer. Perhaps even do a Root Chakra meditation or carrying some crystals like Black Tourmaline or Red Jasper to help you. Don't be so quick to block others out. Open your heart - not everyone is out to get you. Make a wish Virgo! Now is the time to really think about your hopes and dreams. The energy is there for you to attain some (not all) this Summer. Dream and make plans! Believe it and you can achieve it. The good energy you've been sending out into the Universe is on it's way back to you in a BIG way this Summer. Partner with the Universe to help make your Summer dreams come true. Stay focused, determined, calm, cool, and collected this Summer. You're sense of intellect and order may feel stronger than ever Libra. You've already weighed your choices in your decision making. Now is the time to execute and be clear of focus. Try to enhance your sense of foresight this Summer. Look at how your present actions will affect future circumstances. Be unwavering in your desire to check out details and seeing the big picture. Rule with more intellect and with less emotion. Let go of the worry and anxiety this Summer, Scorpio! Don't allow it to creep into your dreamy mind so that unwarranted fear can run amok! Work on staying grounded and what you can do in the present moment. If all you can do is take a deep breath - that's fine too. Don't panic or allow anxiety to be a paralyzing force for you this Summer! Focus on feeling safe and secure as well as how you can rise above the worry, fear, and stress. Don't be afraid to ask for help if you need it! Refuse to let unconscious fears keep you from living the life you were meant to! Now is the time to get out there and travel Sagittarius! See the world, explore! Even if it's just a new park near your home. Maybe start planning that dream vacation or even a small trip to a lake. Go exploring and connect with nature. Be daring, spontaneous, and adventurous this Summer! Look for joy and happiness all around you. You won't be disappointed! Joy, happiness, and the promise of a new day surround you this Summer, Capricorn. Focus on staying positive and looking for the light in others around you. You are driven, determined, and ready for anything that comes your way - and you'll do it with a smile on your face! Try to bring some of that sunshine to others you come into contact with. A smile or laugh filled with loving positive energy is contagious! Dreams, deceptions, excess, and restrictions may be a struggle for you this Summer, Pisces. Be careful what you wish for - all that glitters isn't gold. Also know that sometimes what we think we want is not always for our best and highest good. Are there any consequences to your desires or what it takes to get them? What about sacrifices? Be aware of who, where, and what you put your faith and trust into. Don't put all your eggs in one basket, take emotions out of it, and really think about if you want to continue in your current direction. Not everything is for everyone. Save your money this Summer, Aquarius! Work hard and build your resources. It is okay to let your hair down and spoil yourself every once in a while. If there is something you need to save for that is coming up in the next few months (I'm really feeling like this is in the Fall), start saving NOW! Also know that you don't need a ton of money to have fun this Summer. There are tons of free or low cost activities you can do! Don't deny yourself of Summer FUN! Remind yourself what you're saving for and the long term benefits and don't beat yourself up too bad if you slip up here and there. Here's to a Summer full of Sunshine lovelies! 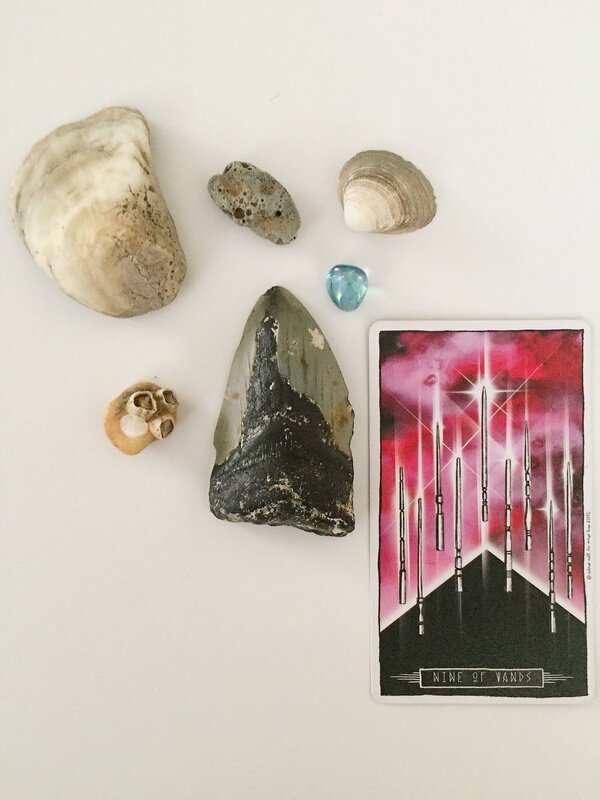 This blogpost features cards from Lumina Tarot by Lauren Aletta of Inner Hue with artwork by Tegan Swyny of Color Cult, 2015.